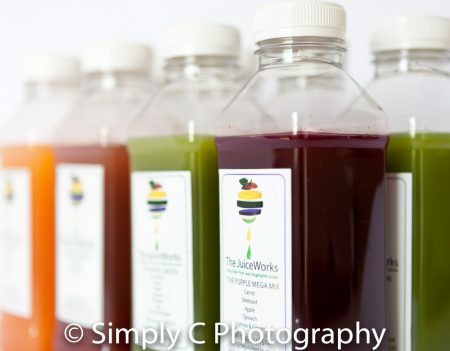 Product Photography for JuiceWorks | What happens in a photoshoot? 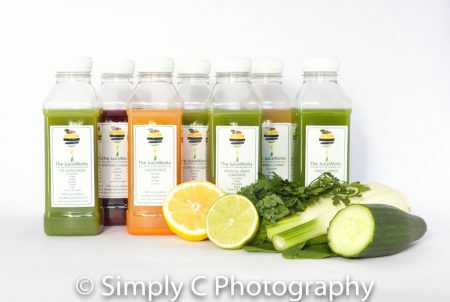 Simply C Photography was delighted to receive a commission recently for a product photoshoot. It was for a local juicing company called The JuiceWorks in Ipswich – https://www.thejuiceworks.co.uk/ owned and run by Lawrence Farrow. As always happens with the initial client consultation we cover the history of the company, its story from inception to where it is today and aspirations. This helps us to deliver the brief creatively and capture the product in such a way it can give the viewer not only a visual image of what they’ll be receiving but tells a story. Ultimately to increase the customers’ desire to see more. We hope that from that visual story they buy into the passion and ethos that is behind most organisations. 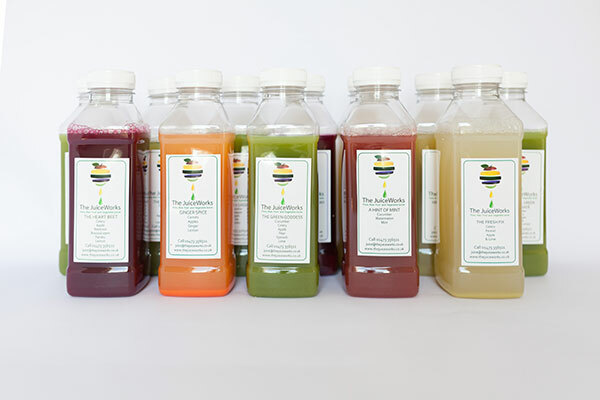 The owner of the JuiceWorks – Lawrence, has a fascinating and compelling story to tell. His passion for the product became clear, as did his pride in what he has achieved, personally and commercially. With every job we take on we strive to capture high quality images that capture the brief whilst applying a commercial understanding of what is needed to achieve a consistent brand identity. A product photoshoot is a difficult and specialist area. Not only is there a great deal of time involved in the set up of the studio with backgrounds and lighting there is also the products and props themselves that need delicate and timely handling. The smallest move of a bottle can mean adjusting the camera settings. The addition of another bottle might mean moving the side reflectors, again which alters the light and ultimately the camera settings. The angle at which the product is set can determine how much or little reflection is reflected from the flash, or bounce off the flash. Intricate and delicate adjustments which swallow time. Then there’s the product itself. This product was freshly made and to capture that fresh colour needs a photographers speed. To cut an apple which is to be placed and balanced can only take place as you are taking the shot. If it is cut too soon it will start to discolour but if it is a funny shape it won’t sit upright, so you need to use clever tricks (if you can see what I did in this photoshoot to get an apple to balance you win a point). This applies to all fruit. So speed is the essence and then ….there’s the editing of the photographs afterwards. A product photoshoot like this to produce ten final edited images can have about fifty taken. It is then a process to identify which images are the best to determine which get edited. I’m looking for any movement of a liquid in a bottle, which may produce a visible mark. A fingerprint of mine where I’ve touched the bottle, condensation as the product goes from cold to warm. Some can be edited easily and others not so! Always bearing in mind that the customer needs a true representation of what they will receive therefore sediment for example I would not edit out as the customer needs to see this is what naturally happens. I Simply love a product photoshoot. It is a challenging but rewarding line of my photography business. If you would like to find out a little more about what is involved and costs please do give me a call on 07775 851827 or email me [email protected].